Now that my body is going through the change, I’ve had to update my self-care regime as well. For instance, my skin has become even more sensitive and quite dry. Products I’ve used in the past have become irritants. As a result, I’m super careful about the products I use on my face. 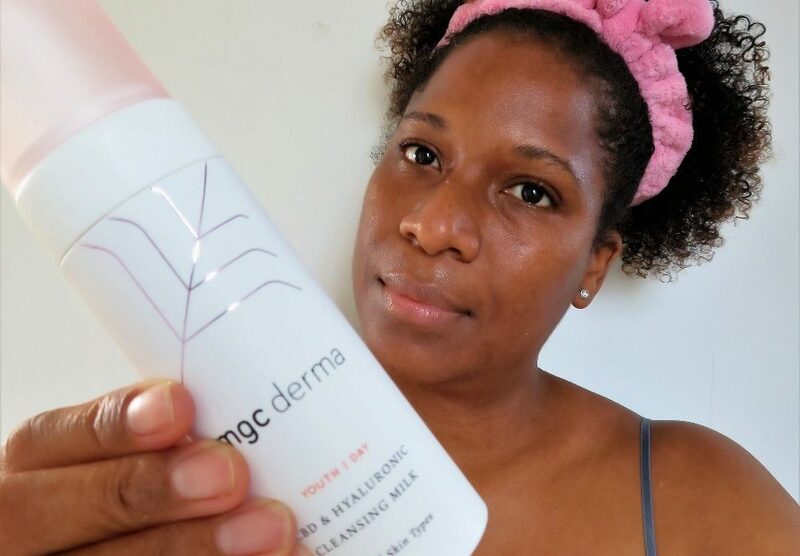 MGC Derma Skincare offered me the opportunity to trial some of their products and I accepted. They sent their CBD Stem Cells & Hyaluronic Serum and CBD & Hyaluronic Cleansing Milk, to trial for the purpose of this review. Following the products’ directions as best I could, I used them for one month. I had good results using MGC Derma skincare. Initially, I began using the CBD & Hyaluronic Cleansing Milk in the mornings as it’s a daily cleanser. However, after a few days I switched to using it at night which is when I use products to clean my face. I normally cleanse my face with water in the mornings. Using the cleanser in that way was better for me because I could follow- up with the serum which was a night time product from the anti-ageing range. The cleansing milk had a light creamy consistency. I applied it with clean hands and rubbed it in with a light circular action. Then I rinsed away with warm water, although its recommend to wipe with off with a wet gauze; it’s probably best to avoid product build-up. However, I didn’t experience this because during the trial I intermittently used a facial brush on the odd day, when I wore make-up. After cleansing, my skin felt clean, hydrated and firm but in a good way, not as if the natural oils stripped away. Next, I applied the CBD Stem Cells & Hyaluronic Serum. It felt very soothing on my skin, especially on those days when I’d worn makeup. Sometimes I followed up with my usual moisturiser other times I didn’t. No matter what, my skin looked healthy, hydrated with a youthful plumpness the following morning. Although, I must note the correct way to use the product is as a pre-moisturizer. MGC Derma Skincare has been a part of my night-time skincare regime for the past month. My skin loved it. Their products contain gentle ingredients but all together they pack a punch. When I began using the range, I wanted was hoping for bright hydrated skin and I achieved it. Best of all they were soothing to my skin. MGC Derma Skincare products are available at Harvey Nichols. 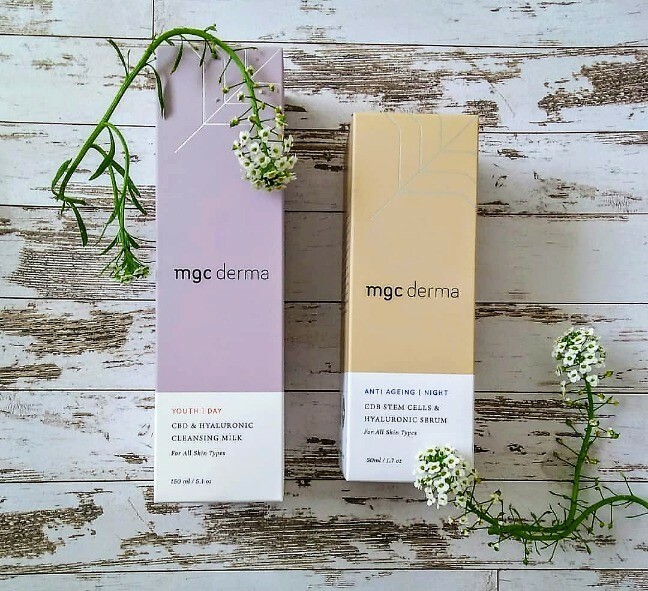 For more information on the full range visit the MGC Derma Skincare website.